Man we love DC. Today we had another "pinch us, we're at the White House moment." 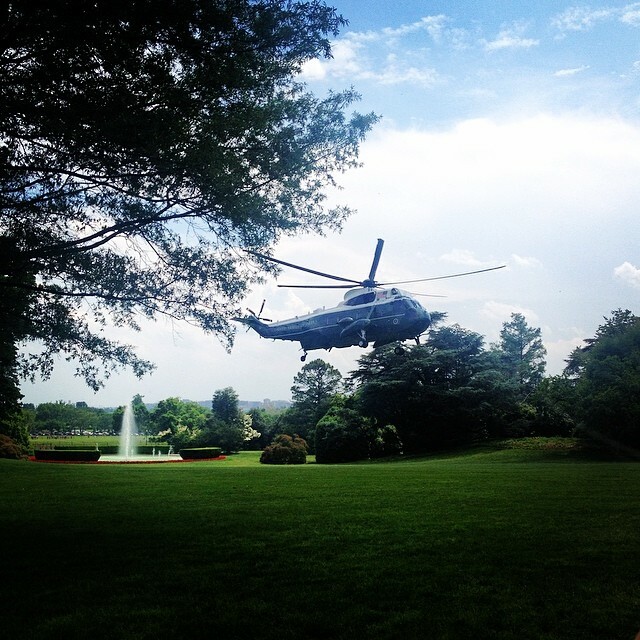 We were invited to The White House to watch President Obama land on the South Lawn (returning from his graduation address at West Point.) Incredible. Marine One's precision and ease as it floated down, the powerful winds from the blades, the dedication from an entire team of people coordinating every move. Seriously, pinch us. Huge thanks to Danny for escorting us around in VIP style and Ambyr for the photos!